Jeremiah Baird sets his position to strike against a ball. In 2015, when he was six, Jeremiah Baird ran into a burning house and rescued his three-year-old twin cousins. The act of bravery has since earned the ten-year-old the nickname ‘Jerry the Hero’ in his village and school. The fire broke out in the home of grandmother Ursula Henry, in Waterloo, Carapichaima, and Jeremiah and his family lived next door. Henry, who had a stroke, screamed for help as she slowly made it out of the house. Jeremiah heard her cries and ran towards her. “When grandma came out I didn't see the twins with her so I just ran into the house and got them,” he said. Jeremiah said he was not scared as he guided his cousins out of the burning house and all three were unhurt. 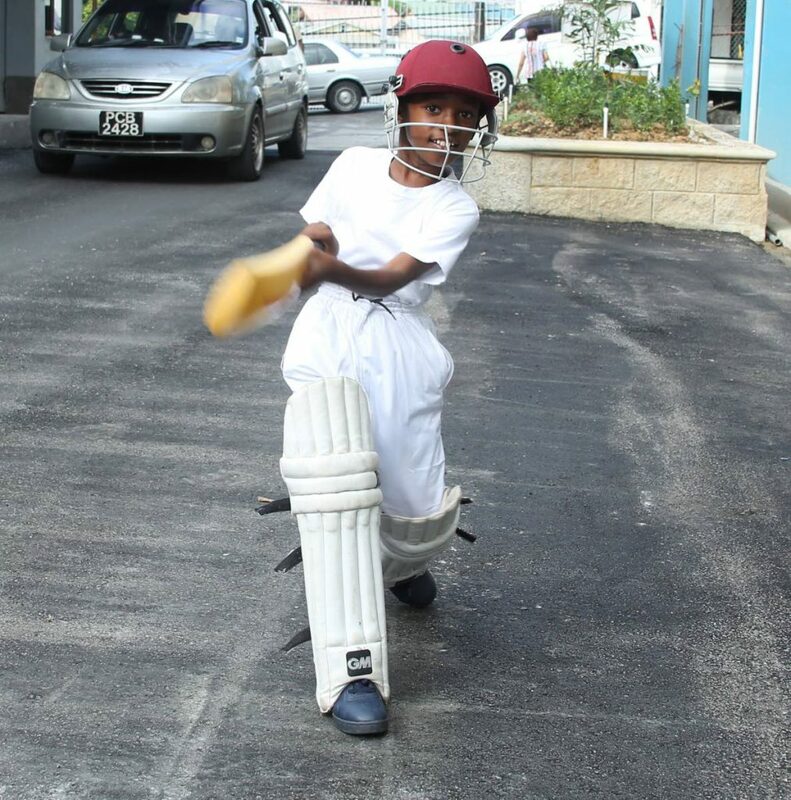 Today, Jeremiah, a standard three student of Waterloo Presbyterian Primary School, is making waves in the sport of cricket. Although he is a batsman, Jeremiah also an allrounder as a bowler and fielder. “I like being on my feet. I like moving very fast. In cricket when you are out in the field you have to move really fast,” he told Newsday Kids. Jeremiah began playing cricket at age. His mother, Jewel Hamilton, said she saw how Jeremiah used a stick as a bat. "He would watch cricket matches on television of then copy what was being done," she said. Jeremiah would be in the yard hitting a bottle, as if it was a ball, and got other children to play a match with him. 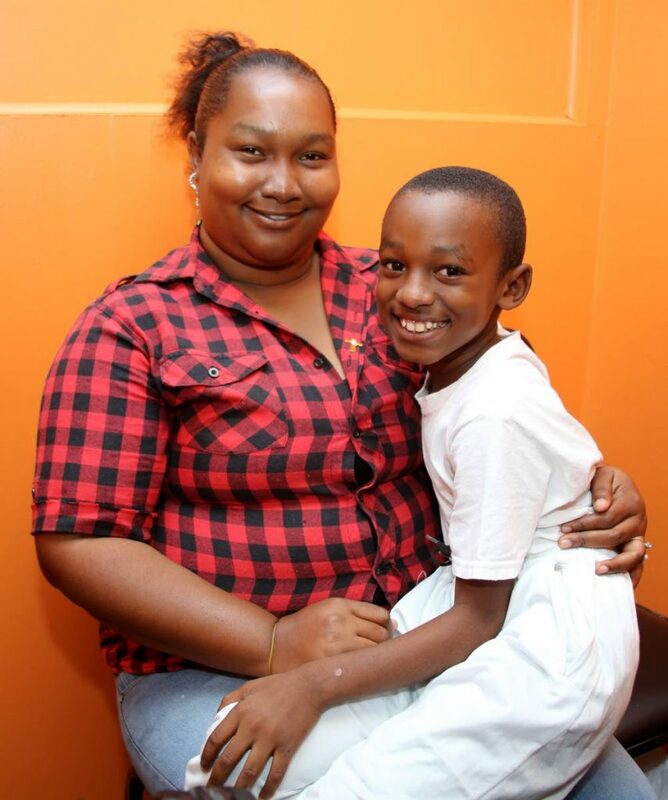 Jeremiah Baird and his mother Jewel Hamilton happily pose for a photograph at Newsday's office in San Fernando. Hamilton eventually bought a bat and ball for her son and enrolled Jeremiah in the Waterloo Kids Club where he began to train as a batsman. Hamilton said after every session his coach would tell her how amazed he was by Jeremiah's talent. Jeremiah said he enjoys watching reruns of cricket matches, and even does so after school, once he has completed his homework. "I just want to be the best batsman ever. And I know if I watch other batsmen play I would learn new things on the field." 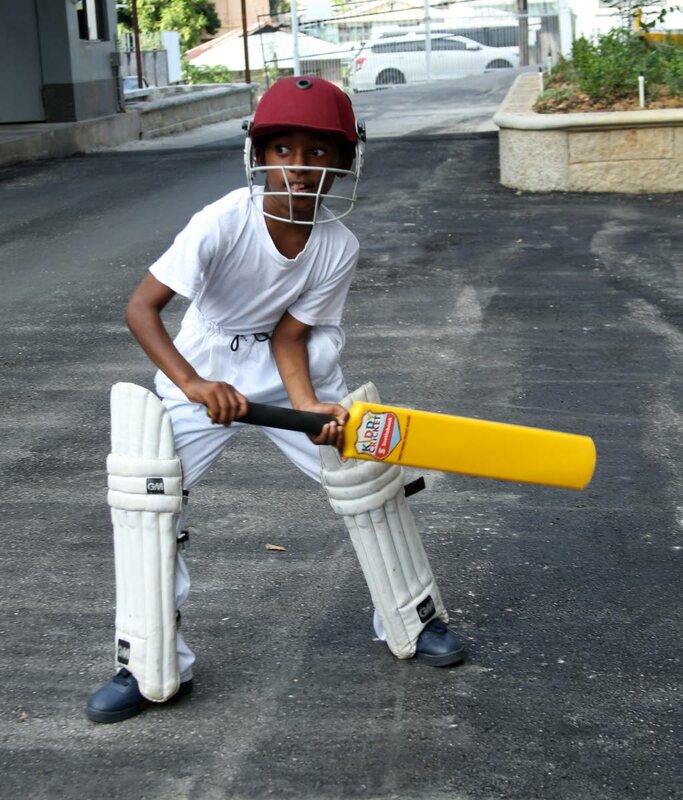 Jeremiah said one day he hopes to represent TT as a professional cricketer. "I want to be just like Brian Lara. I really hope to meet him one day," he said. Lara played for the West Indies and is the world record holder for the most runs in a Test match. Sadly a few days, after his interview with Newsday Kids, in December, Jeremiah lost his baby brother, Terron, who died after his head got stuck between a pillow and a bed. An autopsy said he died from positional asphyxia. Reply to "Signal to Jeremiah"